We are extremely happy to announce that first update to Icaros Desktop 1.5 has been released. Version 1.5.1 includes a new kernel that should address boot problems with some motherboards and GeForce video cards. People who needed to run the Legacy Kernel Edition of Icaros 1.5 should now be able to boot the mainstream version as well. Icaros Desktop 1.5.1 should be generally more stable on every system, but if you need to restart your PC, you can now use the "usual" key combination Ctrl+Alt+Del, which now leads to a cold reboot instead of a warm one. To perform a warm boot, that should now work on a wider range of hardware configurations, you can still press Ctrl+lAros+rAros. Icaros Desktop 1.5.1 includes a new game, the great train puzzler Ri-Li, the fresh BackupCopy utility and updated versions of development libraries, languages (fpc) and tools. We have also 'reverted' VICE to version 2.3, since v2.4 (included with Icaros 1.5) could crash on exit. Last but not least, people form Greece can now use some greek fonts in AROS applications. So, what are you waiting for? 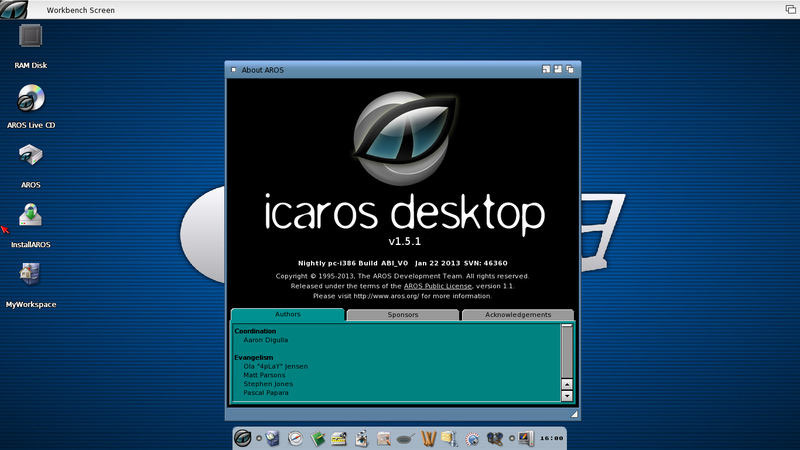 Go to our renewed Download page and grab your copy of Icaros Desktop 1.5.1! 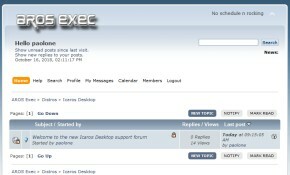 Icaros Desktop 1.5.1 is available in three versions: Live! (a bootable DVD with all programs, games and development tools), Light (a reduced version targeted to CD-ROMs and pendrives, useful to boot your PC into AROS), and Update Pack (a zip file for current users of Icaros Desktop 1.5 but not 1.5 LKE). To upgrade your 1.5 installation, just download the 1.5.1 update pack and save it somewhere on your hard drive, then run Tools/LUPD/LiveUpdater and choose the File option. If you have an active connection to the Internet from your Icaros machine, you can download the update straight from LiveUpdater with the Internet option.